Fourteen researchers from Germany and Canada created a brain map from a deceased woman and are making the results available online to researchers. 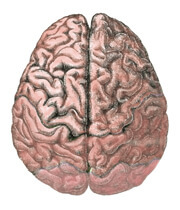 What’s new is the extremely fine resolution of the images: fifty times better than previous brain maps. The research team sliced the brain into 7,000 thin layers and took high resolution photographs. Then they tediously adjusted the photographs to correct for the damage caused by the slicing. It’s a lot of data: If you had the highest-resolution “Retina” display MacBook, it would take 40,000 screenshots to view all the data. What good is this “Big Brain” project, anyway? This brain map should improve our understanding of brain development and degenerative disease. It may also suggest areas of the brain for more detailed study. However, there’s no hope to plot the interconnections that carry the data that we think make up human consciousness. After all, many nerve cells are still 4 times smaller than this map shows, and the interconnections 20 times smaller! Scientists keep looking for the “ghost in the machine,” the source of human personality. After they brain map the neurons, it will turn out that they really need to look at the mechanisms inside them. Then, they’ll want to look at neurotransmitter molecules, then sodium ions, smaller and smaller stuff. This work will take forever to tell us what makes us tick: I predict that first good understanding of the brain will occur from modeling early brain development and coupling that with an information systems view of the brain as a whole. Brain Map — how significant is this work, anyway? Join in! Takeaway: An impressive accomplishment that nevertheless emphasizes how very far we have yet to go.